Lt Col Dwight F. Davis received the Distinguished Service Cross for extraordinary heroism under fire in France during World War I as a member of the 69th Inf Bde, 35th Division. He provided exemplary courage and leadership while reorganizing positions under intense enemy attack. A world-champion tennis player before and after WW I, he was also an Olympic medalist in tennis, and is the one for whom the Davis Cup is named. He served as Asst. Secretary of War and Secretary of War in the 1920's, and then served as Governor-General of the Philippines under President Hoover. He died in 1945 and was honored with a star on the St. Louis Walk of Fame. He is buried in Arlington National Cemetery. 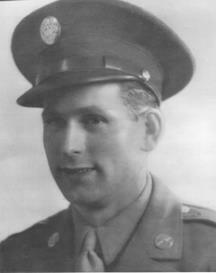 Major Orval E. Faubus served with the 320th Inf Regt, 35th Inf Div, from San Luis Obispo, CA to the end of World War II. He was involved in the relief of the Lost Battalion of the 30th Division in Normandy, worked with the underground in France, and accompanied the 320th in the relief of Bastogne during the Battle of the Bulge. He fought with the 320th into the Netherlands and then into Germany. Following the war, he wrote In This Faraway Land, in which he narrated the war record of the 35th Division. He later wrote Up From the Hills, which tells of his experiences in Arkansas politics, including his experiences as Governor. 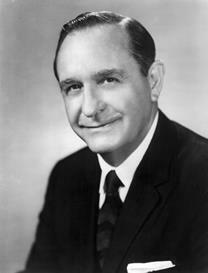 He was active in the 35th Division Association and served as its 24th president in 1954. PFC Robert R. Holmes saw action as a member of Co G, 2d Bn, 137th Inf, 35th Division, from August of 1944 to the end of WW II, including the battles in the Ardennes, Rhineland, and Central Europe, including the battle for the Elbe River. He served on the Honor Guard for Pres. Harry Truman's visit to Antwerp and Potsdam in 1945. He was awarded the Bronze Star, Combat Infantryman's Badge, Good Conduct Medal, three battle Campaign Ribbons, and the French Legion of Merit. He has been active as speaker and promoter for WW II remembrances, and as a member of the VFW, American Legion, and Veterans of the Battle of the Bulge. He has been an active participant in the 35th Division Association. 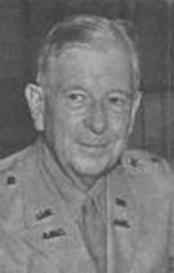 Colonel (Dr.) James A. Huston served with the 134th Inf Regt from Platoon Leader to Operations Officer (S-3) during the entire WW II campaign in Europe. After WW II he served in various Army Reserve assignments, reaching the rank of Colonel. His awards include the Bronze Star Medal and the French Legion of Honor. He served as Professor of History at Purdue University for 26 years, and in 1972 became Dean of History and International Relations at Lynchburg College. He is the author of 15 historical novels and over 70 historical articles, has led 25 tours of Europe, and has made 7 visits to other parts of the world. Two of his books detail the record of the 134th Inf Regt. fight across Europe in WW II. 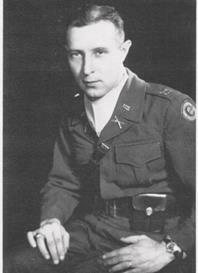 Lieutenant Colonel Homer W. Kurtz joined the 320th Inf Regt, 35th Div, in 1943 at San Luis Obispo, CA, deployed with the 35th Division to Europe, and participated in all of its campaigns in Europe. He was awarded the Bronze Star for leading a recon patrol which rescued the Lost Battalion of the 30th Div in 1944. He was awarded the Silver Star as commander of K Co, 320th Inf Regt, for personally leading his unit across the Saale River and repelling a counterattack in April of 1945. His troops spearheaded the assault on Venlo, Holland as part of Task Force Byrne. 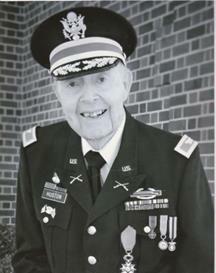 Following WW II he continued service in the Army, serving in both Germany and Korea. He was active in the 35th Div Assn, serving as president in 1986-87. 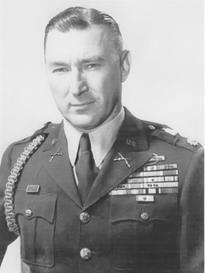 Lieutenant Colonel George J. Melochick received two Silver Stars, a Bronze Star, and two Purple Hearts while serving with the 134th Inf Regt, 35th Div, during its European Campaign in WW II. He entered service as an enlisted man in 1936, eventually becoming Executive Officer of Co B, 134th Inf. He became commander of Co C, 134th Inf Regt, when all other officers were wounded or killed. Wounded twice in combat, the Silver Stars were awarded for heroic combat leadership in Belgium and at Hilforth, Germany. He continued service in the Army after WW II, serving in Greece, and then in the Korean War, where he was awarded the Air Medal and the Korean Service Medal with four stars. He retired in 1957 and died in 2003.